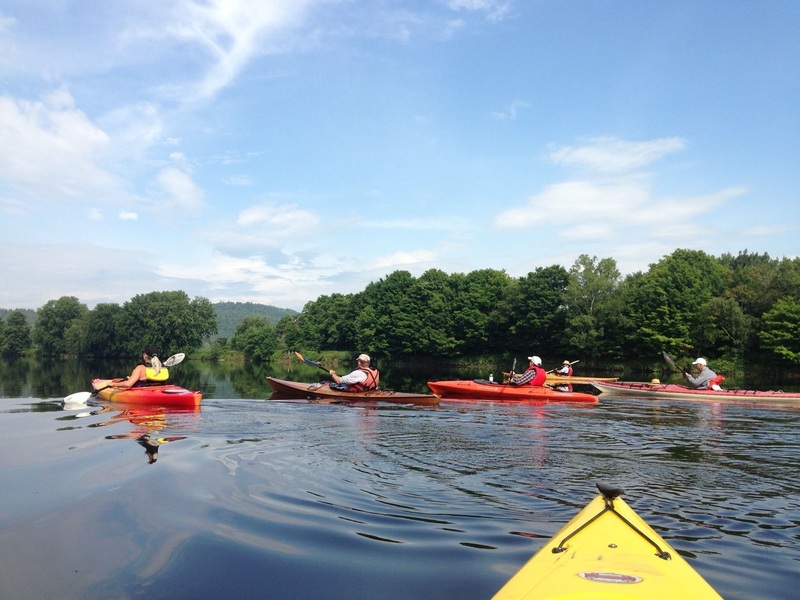 The Androscoggin River Watershed Council is working with numerous groups and individuals to establish a water trail along the full length of the Androscoggin River from Lake Umbagog in Northern New Hampshire to the easterly end of Merrymeeting Bay in Maine. The purpose of the Trail is to provide access for a wide variety of uses including paddling, fishing and boating in appropriate parts of the river. The Androscoggin River flows 168 miles; there are more than 40 mapped, publicly available access sites to the river. The Water Trail provides access to the vast majority of the river system through the existing sites. Full development of the trail will include a number of site improvements to existing sites and the establishment of new sites. In addition, improved portages, water access only sites, and day use areas are additions currently being planned or undertaken. Since sites are changing, a limited number of printed maps are available. Information is being furnished by this web site, including maps and a description of access sites. Maps are also located at kiosks at popular access points. Click on the links below to download maps and access site descriptions.